So these are just some some products that i have been loving recently that i thought i would share with you. There is a variety of products from hair and nails to makeup and tanning products. I am in love with this shampoo because it is great for colour treated hair. I find that it strips all of the unecessary oils out of my hair but doesn't leave my hair dry and unmoisturised. The active ingredient in this shampoo is the argan oil which is derived from Morrocan Argan Trees. It is also paraben free which is always a good thing for your hair. I would say that i have fairly naturally straight hair but i am the kind of person who likes one extreme or the other. My hair has to be either curly or straight, in between hair just annoys me so i end up straightening my hair on pretty much a daily basis. This straight heats up to 230 degrees in seconds and glides through your hair, leaving it undamaged and still moisturised. I have been using this over my CHI and GHD this month and have not even noticed the change. I find this straightener to be of the same quality as a product 4x it's price. I don't have the thickest hair and it doesn't usually take me very long to blow dry my but this cuts down my drying time even further. I usually only have to blow dry on the middle settings because of how powerful this blow drier is. Whenever i use this product i get a gorgeous tan. You use this product when your sun baking and it helps you tan faster but still has a high SPF which protects you from burning and sun cancer. I use this oil to rub onto my legs when i have a tan and it just enhances the brown, making you glisten and look really pretty. 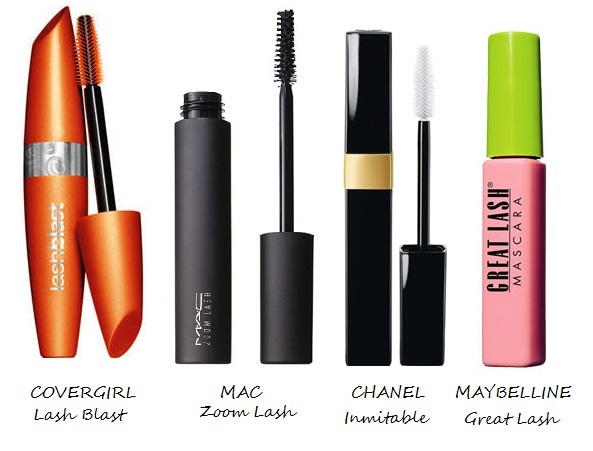 You can visit my seperate post for more depth that i have made about my mascara routine here. "I love this eye kohl to replace a black eyeliner when i want a less harsh and more natural look. I also love the colour because purple works very nicely with my green eyes. Sally Hansen Xtreme Wear Nail Colour "Bamboo Shoot"
A milky pastel pink colour. This is great for school because it is so natural and just improves the appearance of your natural nail. Chanel Rouge Coco "54 Boy"
I love this lipstick because it's pretty natural and just gives a really nice wash of colour and shine on lips. I love to put this lipgloss over the Chanel lipstick and this provides a lovely gloss and brightens up the lipstick colour a bit. Altogether a great combination. We are now following you on GFC and have send a twitter friend request. Also we subbed your You Tube Channel. We would LOVE for you to come back and follow us on the blog, Twitter and sub our YT channel so we can stay in touch! Thanks for leaving us a comment!! That Chanel lipstick looks amazing!